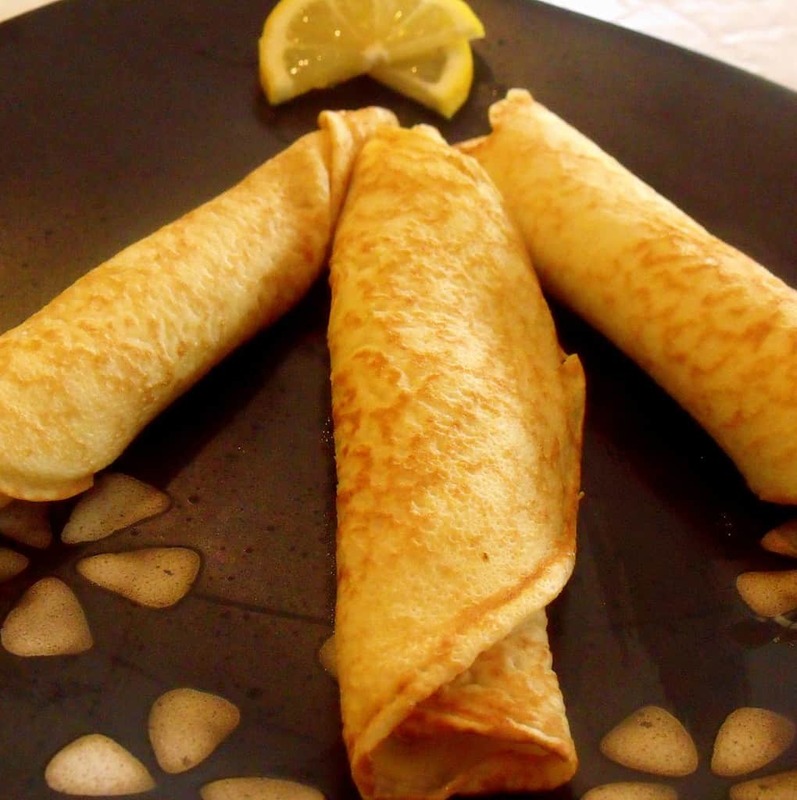 Always love to hear how other cultures enjoy their food, and these pancakes could easily be enjoyed as an entree at any meal, and for dessert too! Thanks for sharing the interesting background also! Hi Bonnie – You’re right – these pancakes make a perfect entree also. They are lovely stuffed with chicken and mushroom cream sauce. My kids love them spread with Nutella or jam too. There are endless variations for fillings!! My mouth is watering just thinking about them. Thank you for this recipie! My husband and I enjoyed these Irish pancakes last night (in Boston). They reminded both of us of the pancakes our mothers would make! So glad you enjoyed these Irish pancakes and a trip down memory lane. These look gorgeous!! !Cant wait to try them:)Hope you had a nice pancake Tuesday!! The kids all loved their pancakes on Pancake Tuesday. 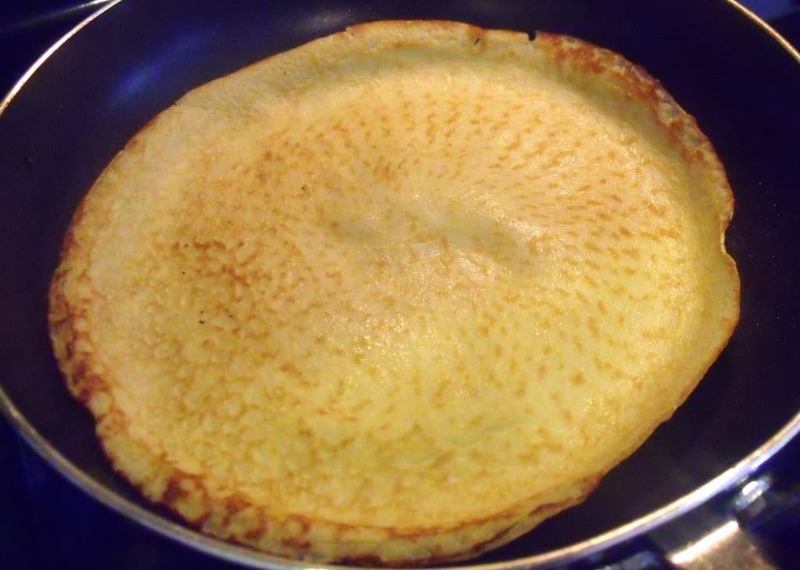 I like to make this recipe for Irish pancakes so they can learn about some of our old traditions. Thanks for stopping by. 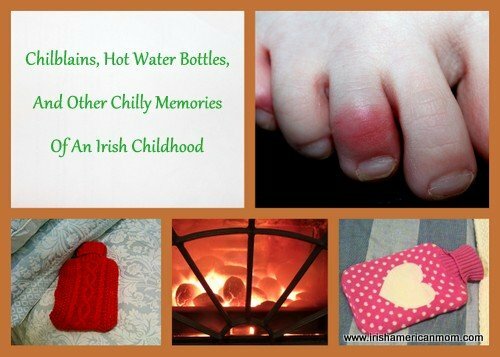 I was one of seven children growing up in Co Tipperary. My Mom made these for teatime on Shrove Tuesday, She stirred a couple of tiny thin English,10 pence coins into the batter. When they were cooked, they were rolled and stacked on a large platter. Each child took a pancake, hoping it would be one of the ones with the coin……………you could buy a lot of sweets with 10 pence back in the fifties. Mary – I can only imagine how many sweets you could buy for 10 pence in the fifties in Ireland. I remember fizzle sticks and Peggy’s Legs for a half pence in the sixties. Those were the days! I love your Mom’s tradition of adding some coins to the batter. How exciting it must have been for all of you. Thanks so much for stopping by my website and for sharing your lovely story. Go raibh maith agat. 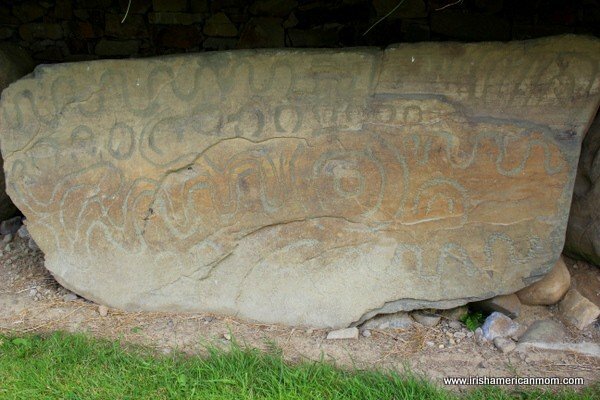 Slán agus beannacht. I wonder if you can use buttermilk or any kind of milk (i.e. fat free, skim, 2%, etc) instead of Vitamin D milk. My husband and I always buy skim milk. We do have vanilla almond milk (which is way to sweet for our tastes as I found out after I bought it…..of course). I use that for coffee creamer. I wonder if that would work too in place of vitamin D milk. What do you think? 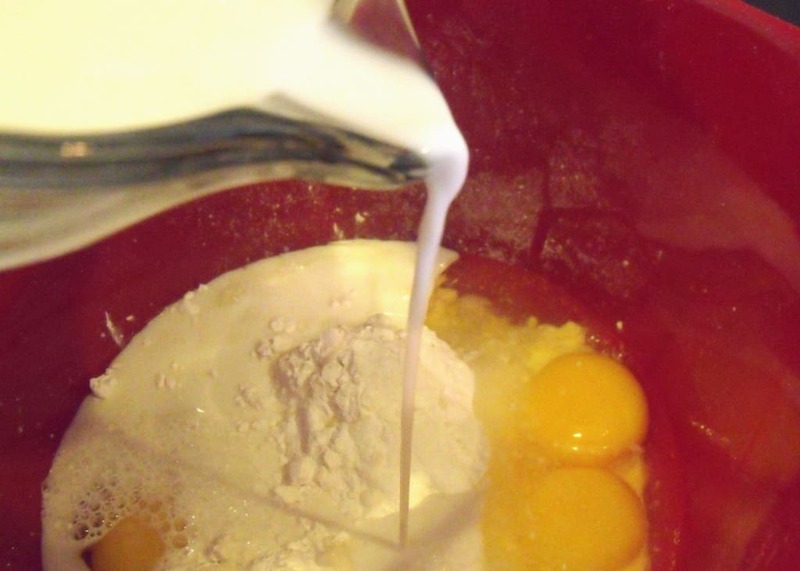 Allison – I would not recommend using buttermilk since there is no baking soda, an alkaline, in this recipe, to interact with buttermilk’s lactic acid. I have made this recipe with skim milk and the pancakes have turned out fine. The taste is not as rich as when they are made with full fat milk, but for those of us that try to be a little health conscious they hit the spot. I don’t think almond milk will work since it is very sweet. I don’t think the flavor would go well with lemon juice and sugar. love your recipes.. as someone from over there living over here I miss some of the stuff I grew up with and my adopted American family loves the food I make…. and your recipe for pancakes is pretty much the same a my mothers… though I would like to point out you missed out the ancient sport of tossing the pancakes… even if some do stick to the ceiling !!! 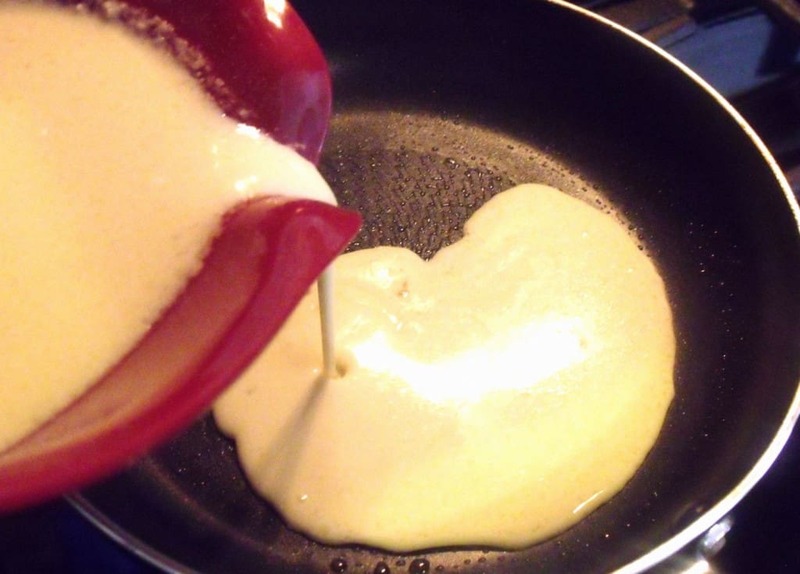 Tim – No matter how often I try to toss a pancake I always seem to make a mess. I just don’t get the right flipping action going – it’s usually the floor, not the ceiling that ends up in trouble with me. My family love these simple pancakes. The choices for fillings are endless, but nutella, or lemon and sugar are my kids’ favorites. Glad these pancakes are just like your mothers. Sounds delicious. Glad you enjoyed your pancakes. Mariana – I’ll have to try “dulce de leche” in these pancakes. It sounds divine alright. Thanks for the recipe – just perfect, exactly like my Mammy used to make. I have tried many recipes over the years, but none as good as this one. Melting the butter and brushing to coat the pan is a great tip, much better results than the nonstick sprays… Made pancakes tonight on Shrove Tuesday for my American Family. Everyone polished their plates, from the traditional lemon/sugar combination to a dessert pancake filled with vanilla ice cream, topped with lemon, icing sugar, whipped cream and caramel syrup! Going to try your sponge cake next, I have not been able to get that right either. I love that you take pictures of the ingredients. So many American products are different and don’t bake the same. I am going to look for that flour in my local store. Keep the recipes coming! Sighle – I’m delighted this recipe is just like your Mammy used to make. It sounds like you all had fun on Tuesday testing all those wonderful pancake toppings. I hope your sponge turns out well. 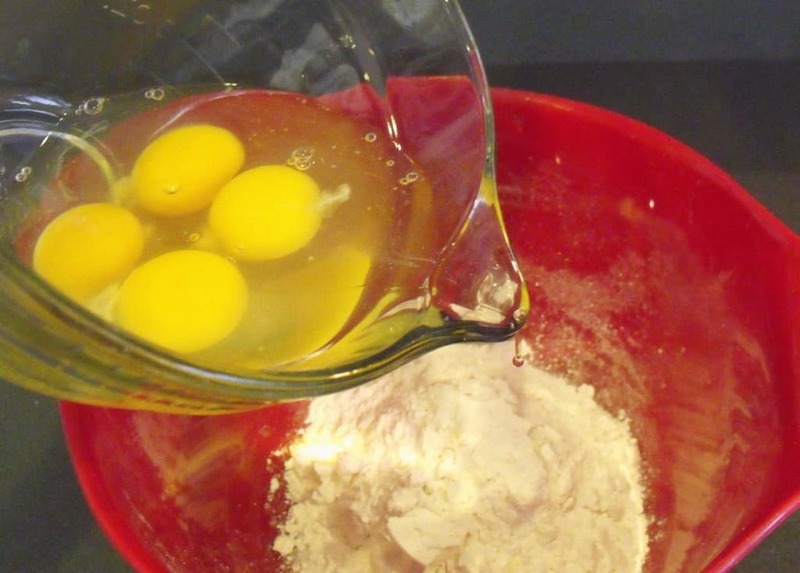 Remember to beat the eggs and sugar until they are very stiff, and mix the flour in very gently. Planning to make these tomorrow and spread them with a bit a bit of home made lemon curd and top them with a sprinkle of cardamom sugar. Thank you for this recipe! Mary – Your lemon curd topping sounds delicious. Hope you enjoy them! Happy Pancake Tuesday tomorrow. You are making me so hungry reading all these wondering comments. My family ran a pub in Limerick and my mother used to add a smattering of an orange liquor (think it was Grand Marnier) and spritz of fresh squeezed lemon with a slice on top. Oh my GOD I think I used to eat about 10 each “Pancake Night” Thanks! Deirdre – A little Grand Marnier on a pancake sounds decadently delicious. What a great idea. I remember once having a crepe in Paris with a little Cointreau on it – just yummy! Thanks so much for checking out this recipe and I’m so glad it brought back good memories for you. My grand mother and mom used to make these. They are delicious. We used to shake a little powdered sugar on them or pour a bit of maple syrup and then roll. 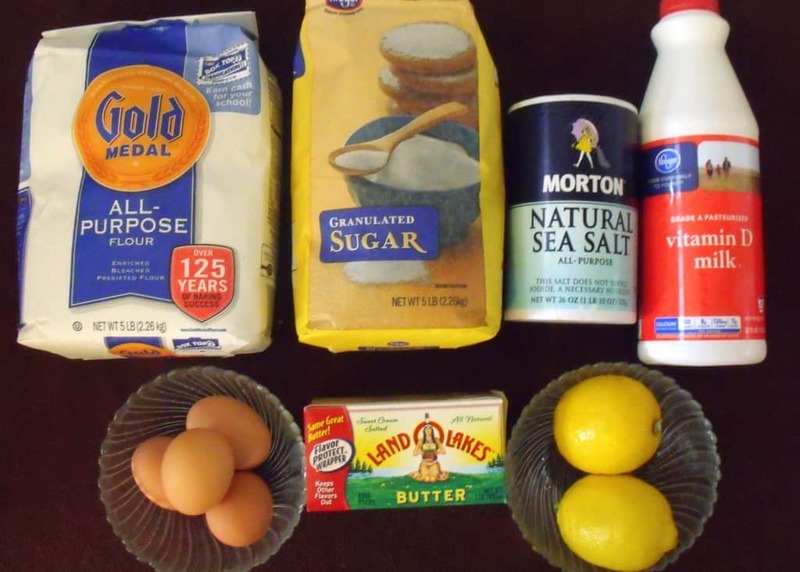 I’m going to try the lemon and sugar next time. I grew up eating these and never knew they were an Irish recipe. My family came from eastern europe, but we do have a little Irish blood, too. 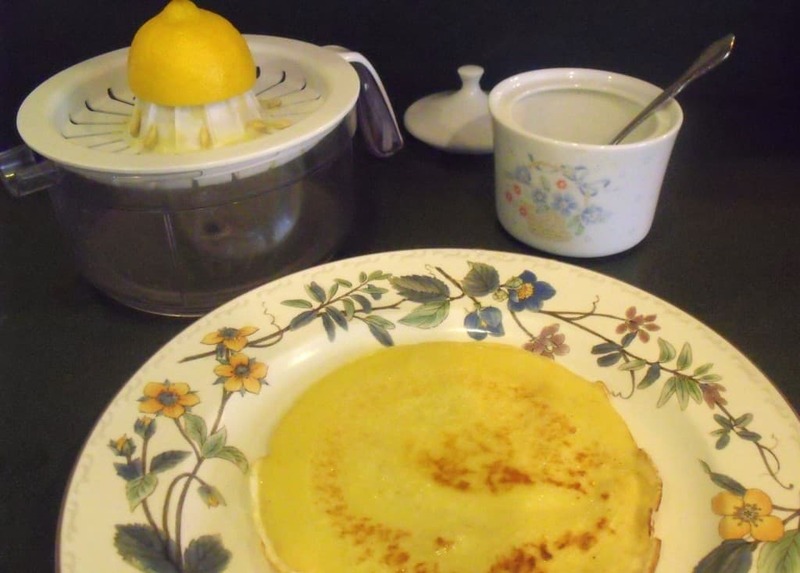 Mary Ellen – These are the pancakes of my childhood. 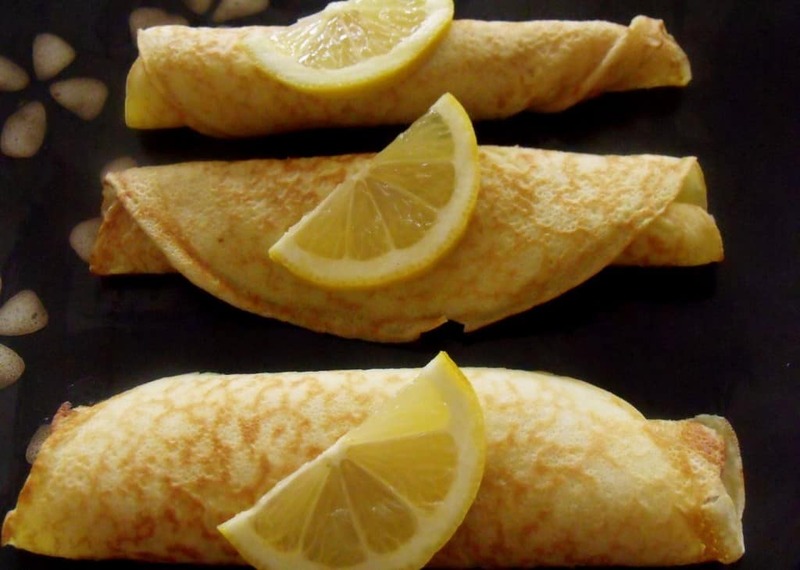 We Irish probably borrowed the original French crepe recipe, and called them Irish once so many people started making them on Pancake Tuesday. 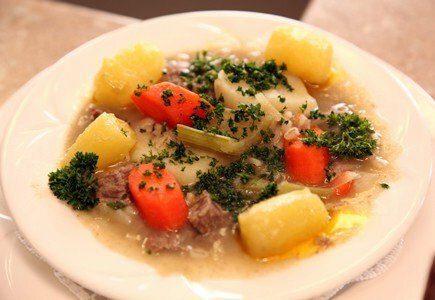 I think many people throughout Europe use similar recipes for the day before Lent begins. Thanks so much for checking out my recipe. Loved this recipe! Just like my (Dublin) mom used to make. She had a stroke a few years ago so all her recipes are locked away in her memory. 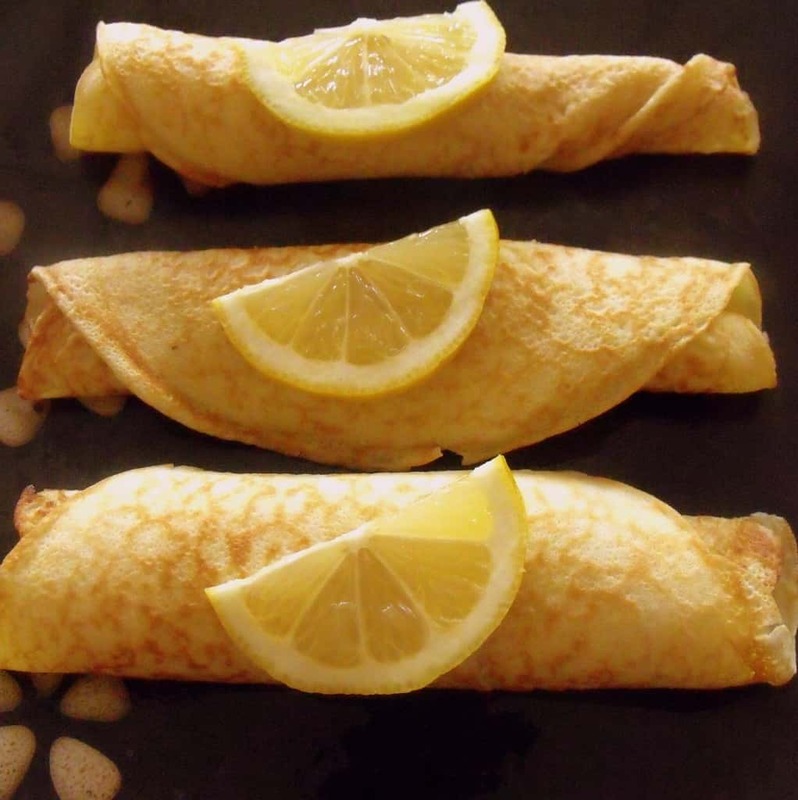 I made these for Shrove Tuesday, just like Mom used to do, and the kids said it was the best dinner they every had. Thanks for sharing. Hi Una – I’m so sorry to hear of your mother’s stroke, and that she has residual memory and communication issues. But I’m glad these pancakes were just like your mom’s Dublin pancakes. It sounds like they got your family’s seal of approval. “Best dinner ever” is quite a title. Thanks so much for checking out my recipe. I used your recipe tonight. My son Declan has a milk allergy so soy milk and marg substituted. He wondered where the people in the “olden days” would have gotten lemons in Ireland in February. We giggled as we speculated and thoroughly enjoyed them! Hi Siobhan – It’s great to know this recipe works well when using soy milk. Thanks so much for adding this tip for other readers that also may have a milk allergy. I’d say lemons were few and far between in Ireland prior to the 1960’s. I wonder if people put butter and sugar on pancakes instead. What a great question your son posed. I need to check out when citrus fruits were first imported to Ireland and Great Britain. Will do. 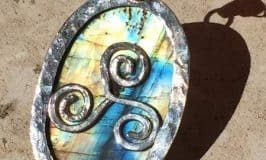 Thanks for checking out my site. Well done, Edmund. I’m so happy you were able to introduce your fiancée to our Irish lemon and sugar pancakes. They really are lovely – simple, but delicious. interested to see you put melted butter in pancake batter. 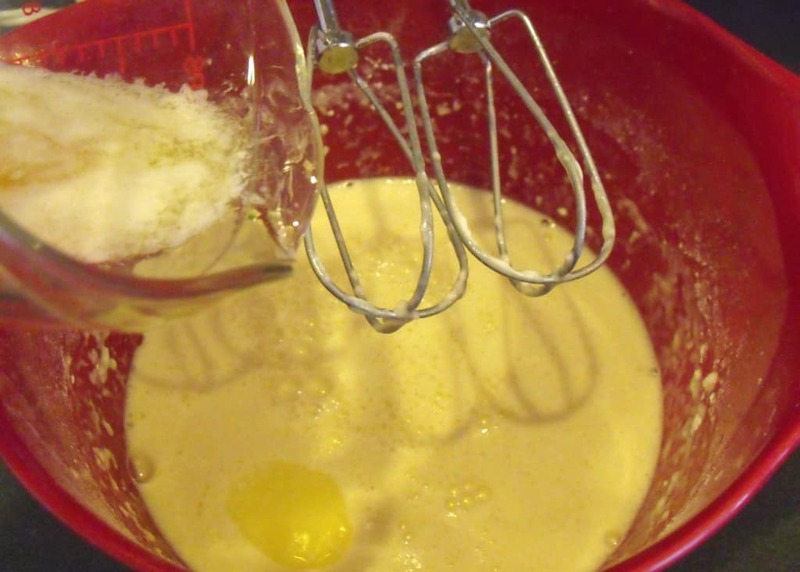 We have always made batter without the melted butter in batter, we just put in the pan prior to each pancake being made. I must try it out. i so love pancakes with melted sugar and lemon juice. 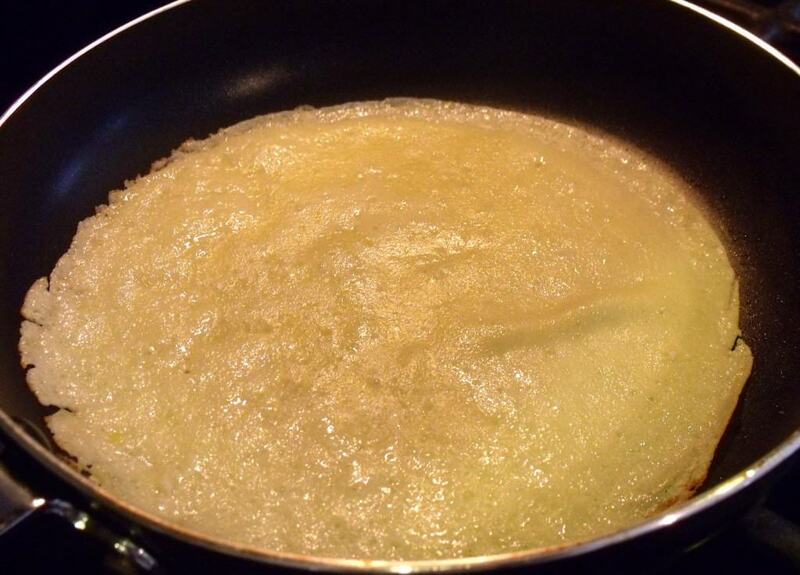 Hi Michelle – I must confess I don’t always go to the trouble of adding a little melted butter to my pancake batter. Sometimes when I’m in a rush I just fry them up in butter. However, I do find a little bit of melted butter in the batter adds to the flavor. Thanks so much for checking out my recipe.